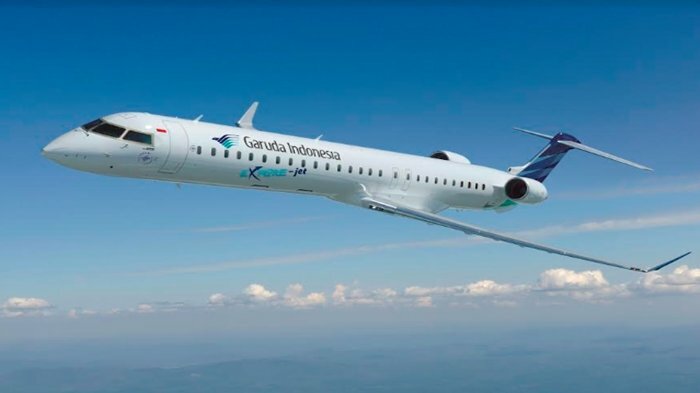 National flag carrier Garuda Indonesia introduced a new flight class product called “Explore Business Class” on its Bombardier CRJ1000 aircraft on Thursday. The product is said to offer “prestige value of service” with a more competitive ticket price. The newly launched product will consist of 12 seats located in the three front-most rows. “In line with the promising market potential for short-haul flights served by the Bombardier CRJ1000, we expect the ‘Explore Business Class’ to be able to accommodate the market demand for the premium flight service concept,” said Garuda Indonesia commercial director Pikri Ilham Kurniansyah in a statement. He added that the carrier had begun offering the new service on Thursday and would start operating it on Nov. 1. Passengers interested in trying the new product can purchase tickets through the airline’s mobile app or website, as well as its ticketing sales offices.